Even a high end smartphone is useless without battery. So the life of the phone- the battery is inevitably important to us. 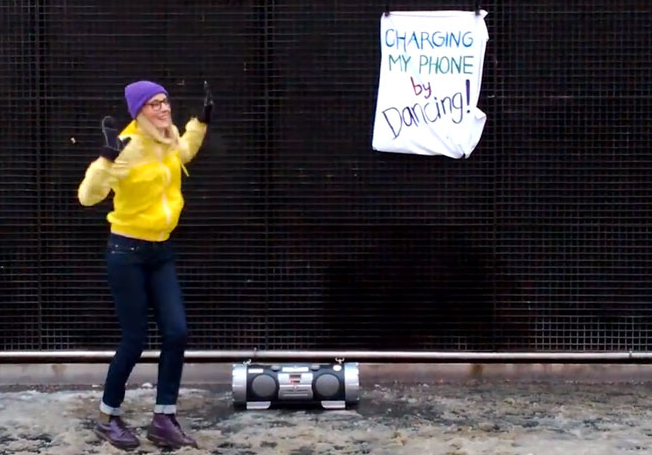 How about jogging and charginh your phone from the kinetic energy you are you are producing. So this is the vision of Nokia at present ans it also posted a video in context to that. Fast charger, wireless charger have been in use now but a self charging device would be way more innovative and energy saving. Till now this concept has been studied and researched in R & D but now Nokia is trying to implement it on a larger scale. Nokia posted a video which shows its vision to raise awareness about sustainability. The system is used to convert “dance energy” into battery charge and is optimized for the task – even after hours of getting down, it’s barely able to make a produce even a 1300 mAh battery. One thing is for sure this concept would flourish business of wearable.